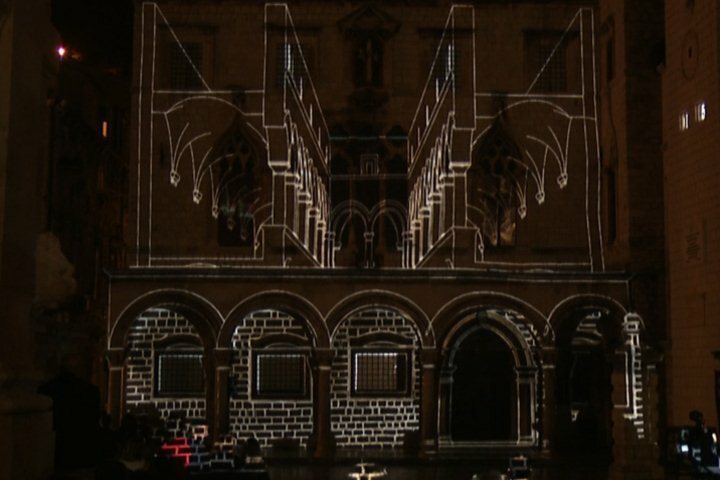 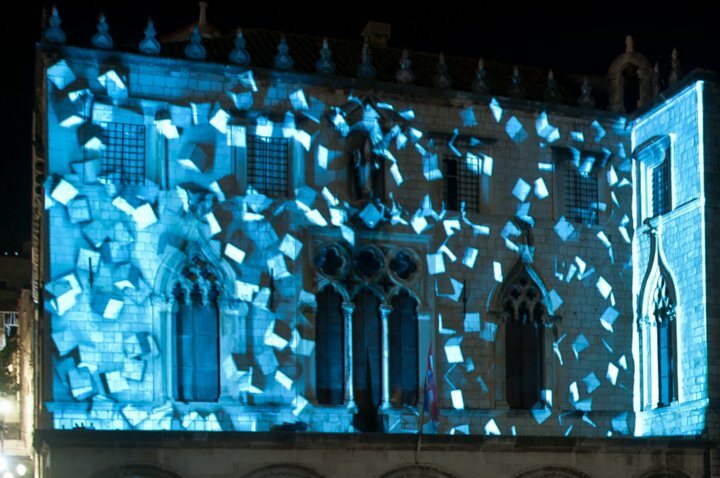 Video Projection Mapping is an exciting new projection technique that can turn almost any surface into a dynamic video display. 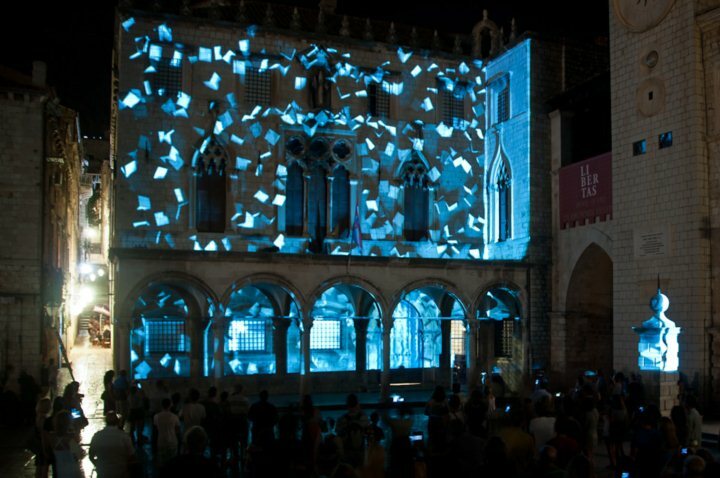 It allows buildings to move, transform and even communicate! 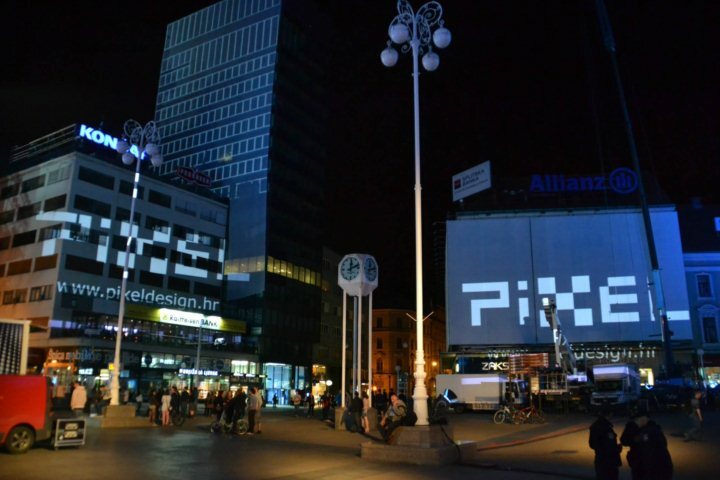 A new advertising phenomenon is taking the world by storm. 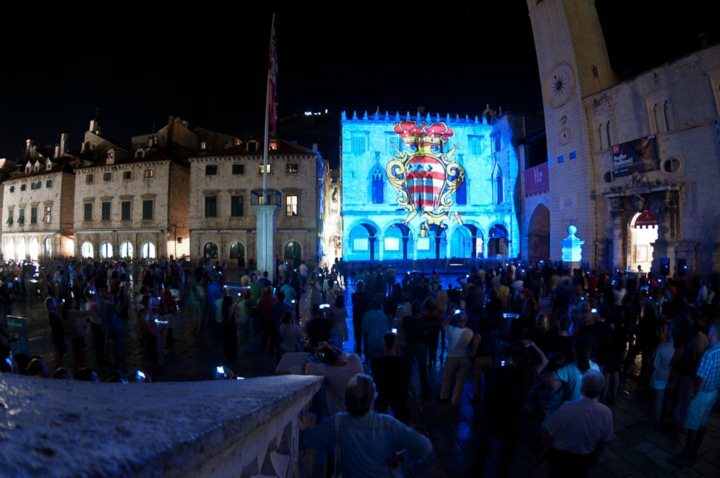 3d Projection Mapping allows marketers and advertisers to create surreal landscapes by projecting images on objects. 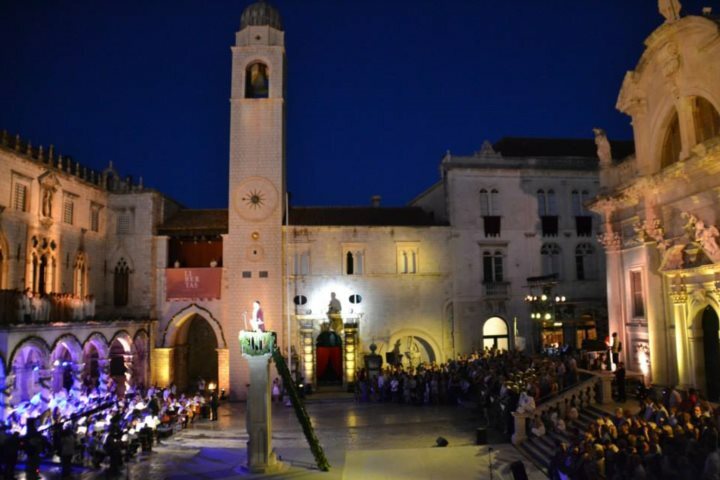 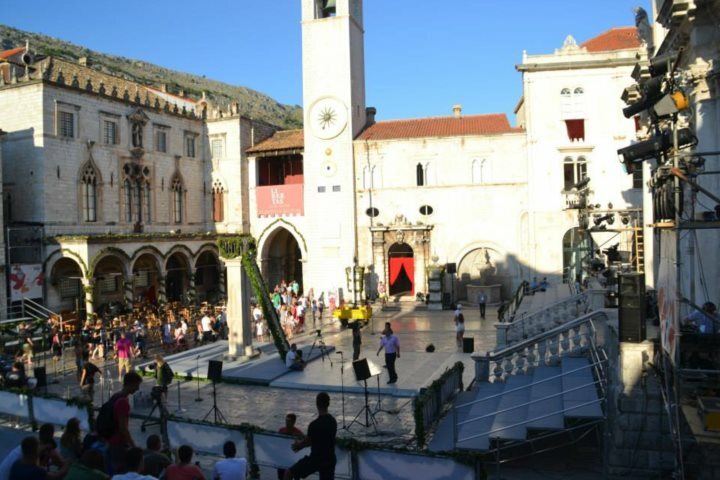 The oldest cultural festival in Croatia, Dubrovnik Summer Festival takes place from 10th July to 25th of August in Dubrovnik presenting rich and vibrant theatre program in the fields of theatre, ballet, visual art programs, classic music and opera. 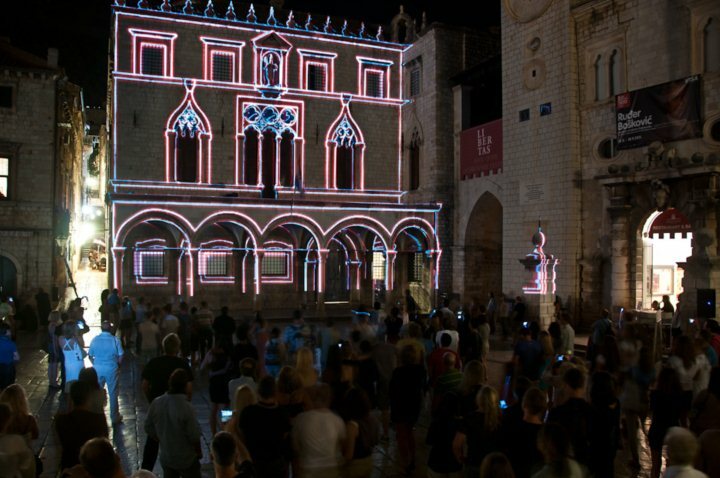 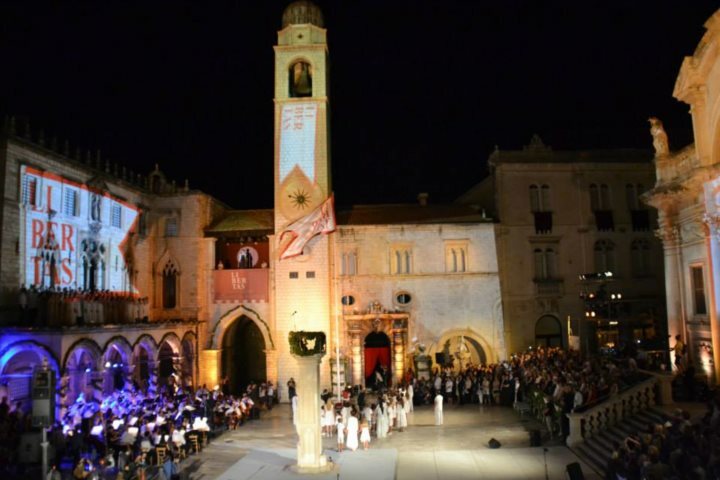 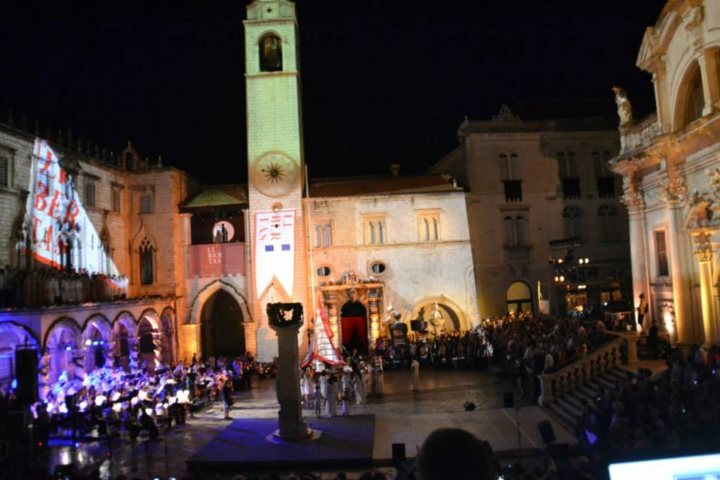 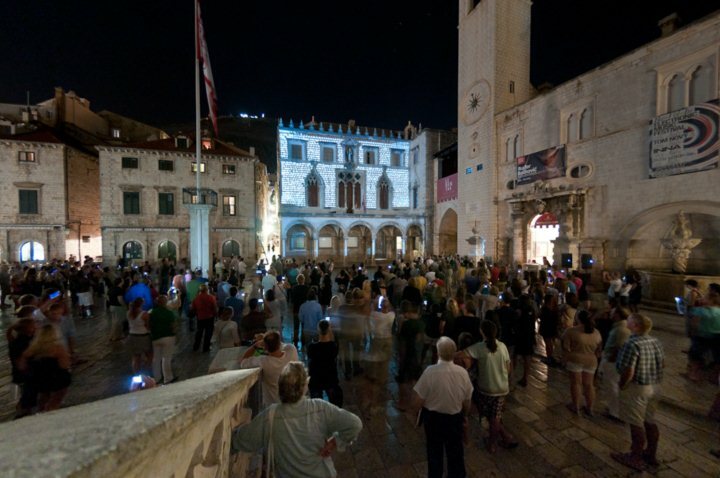 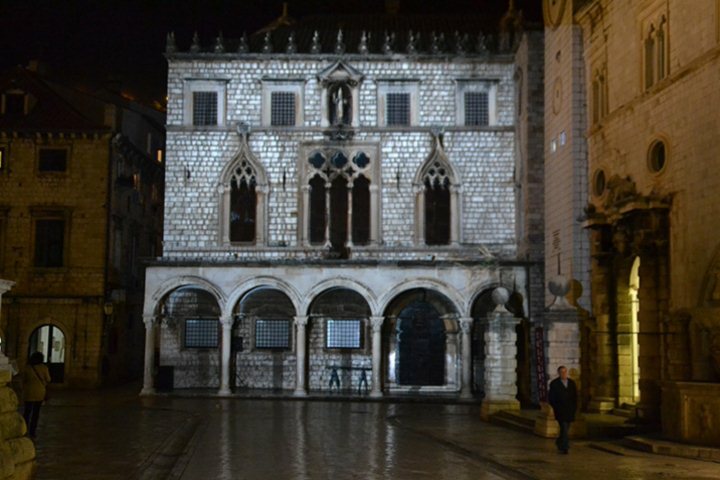 Dubrovnik Summer Festival this year gathered nearly 2,000 artists from all around the world on 29 different locations in the Renaissance city of Dubrovnik. 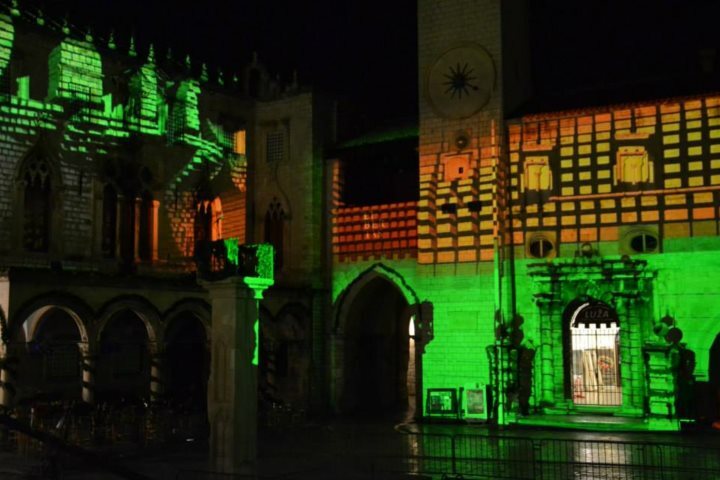 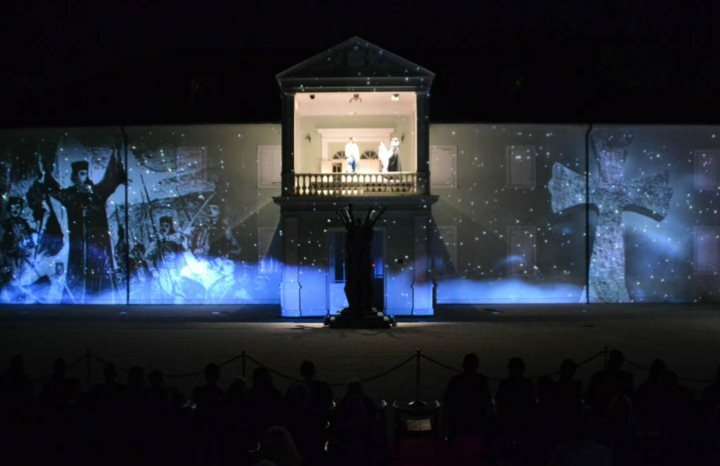 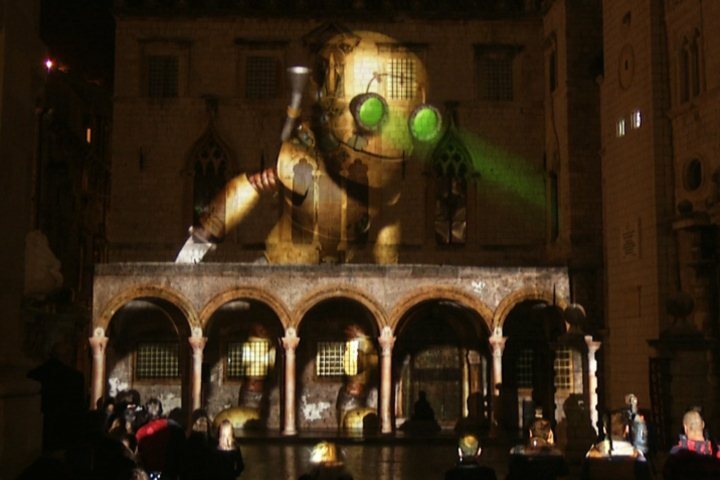 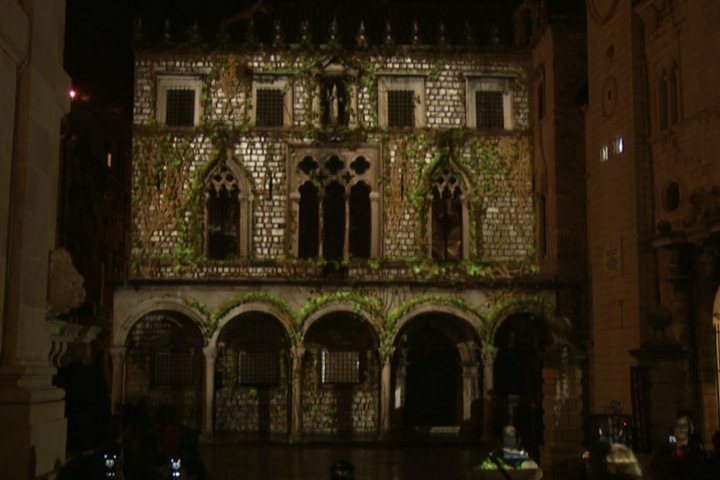 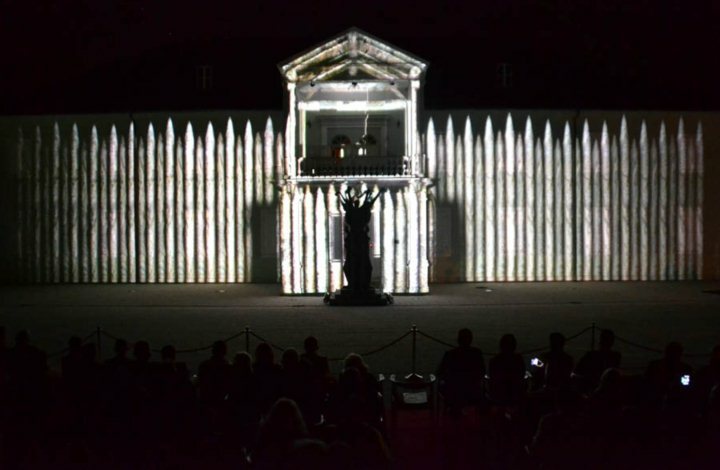 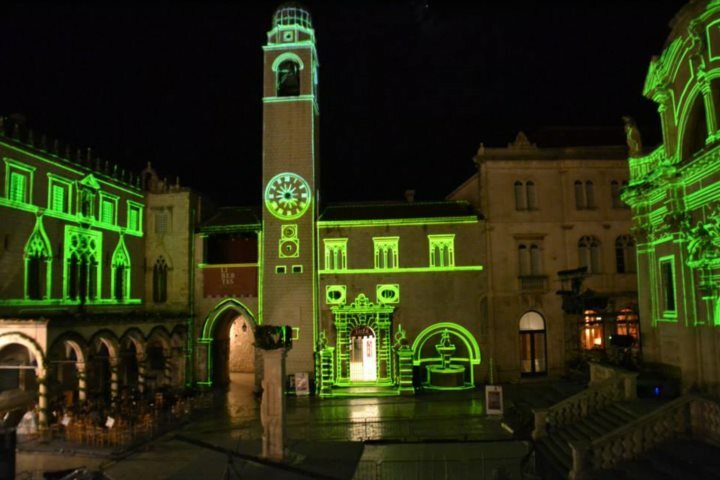 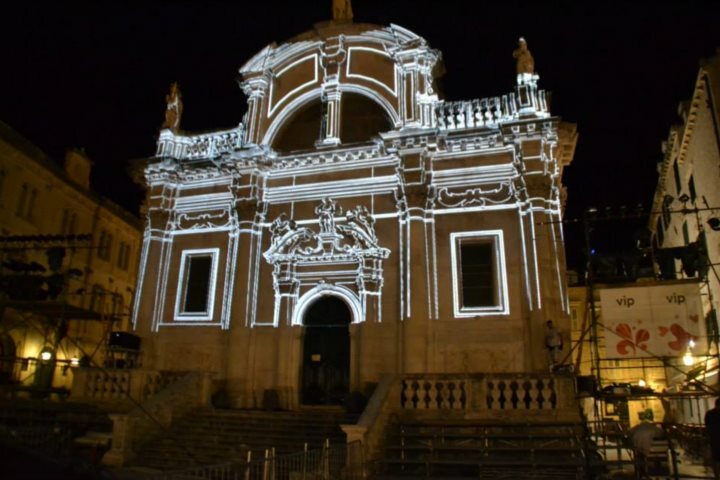 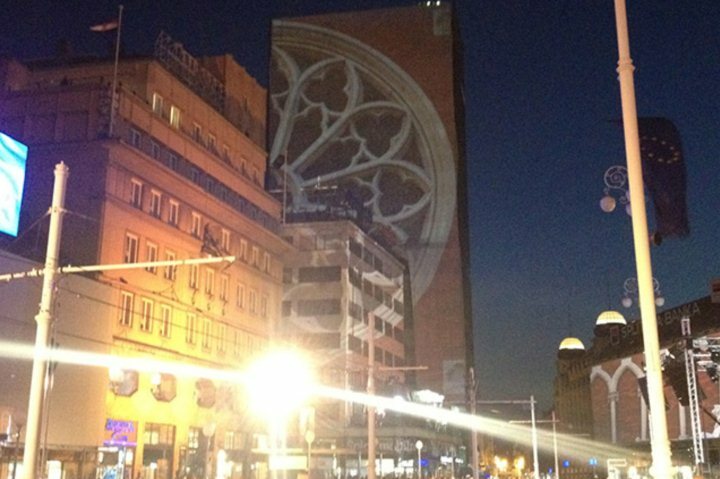 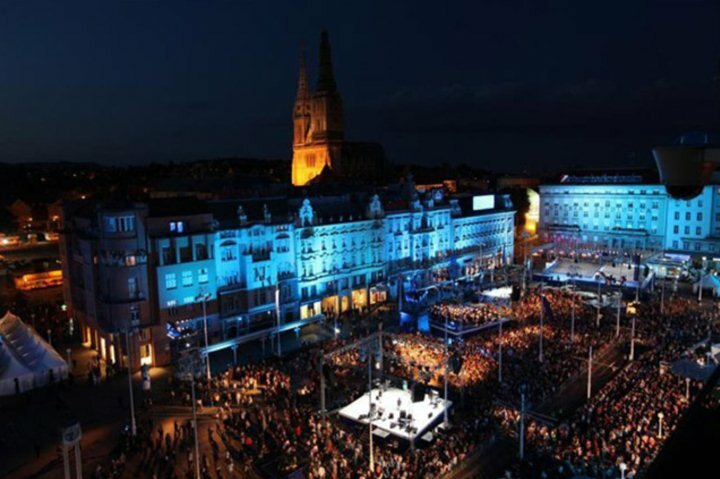 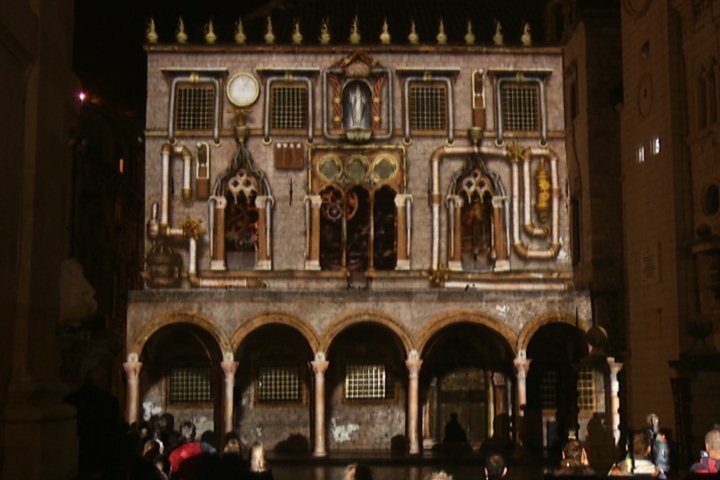 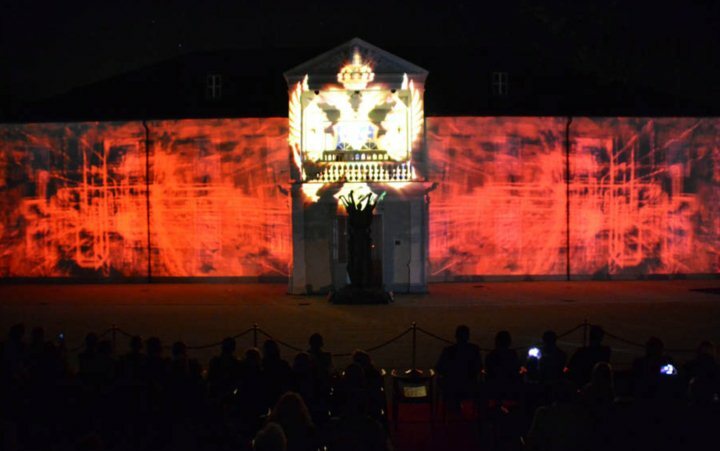 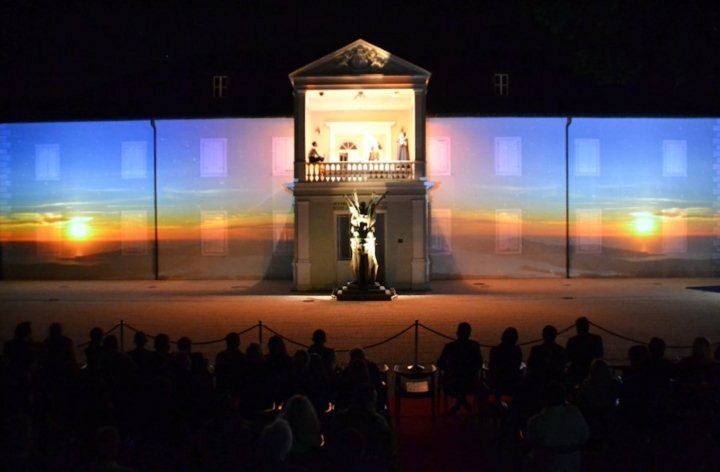 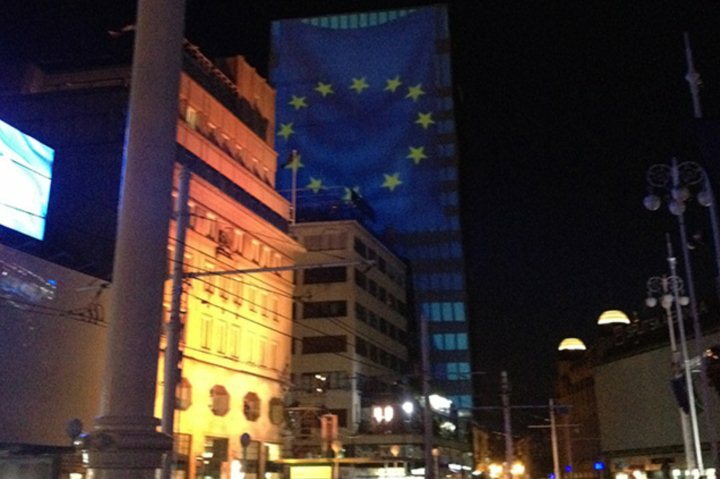 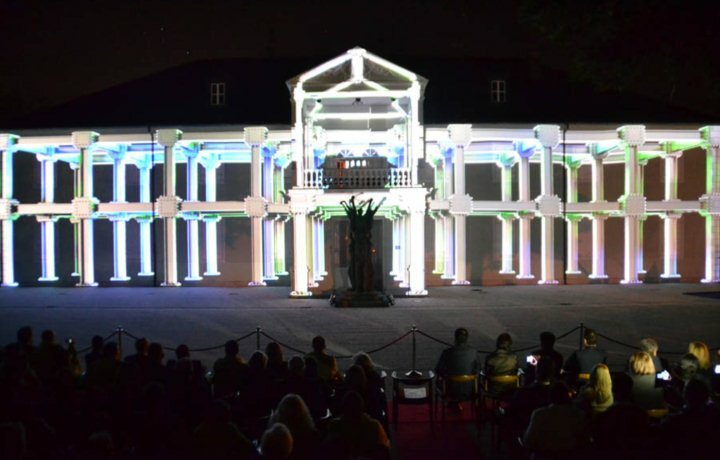 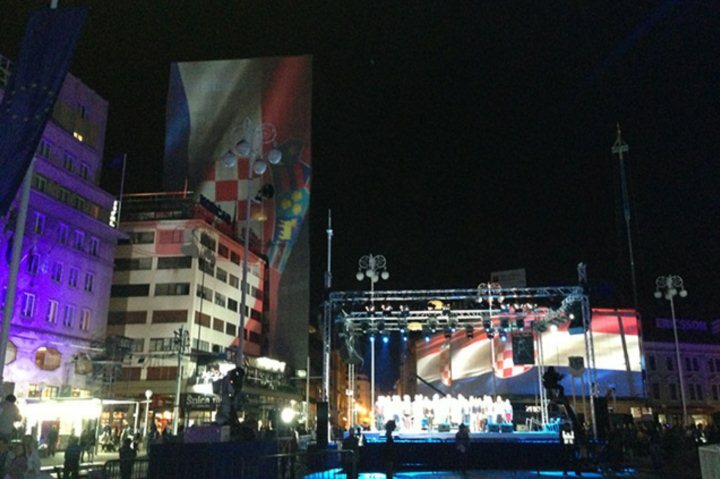 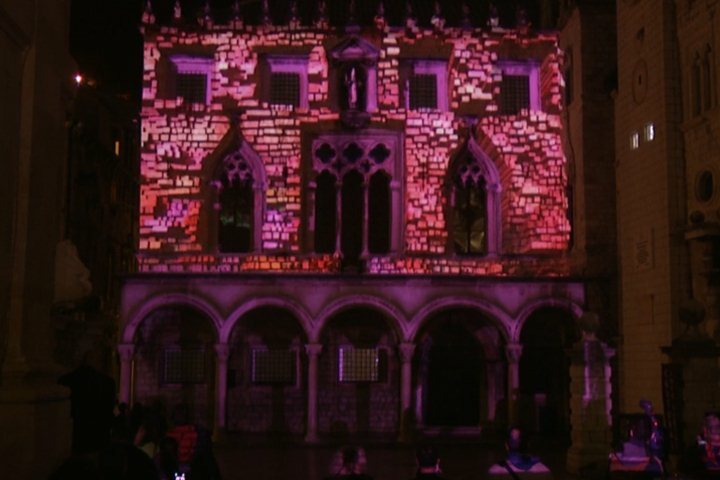 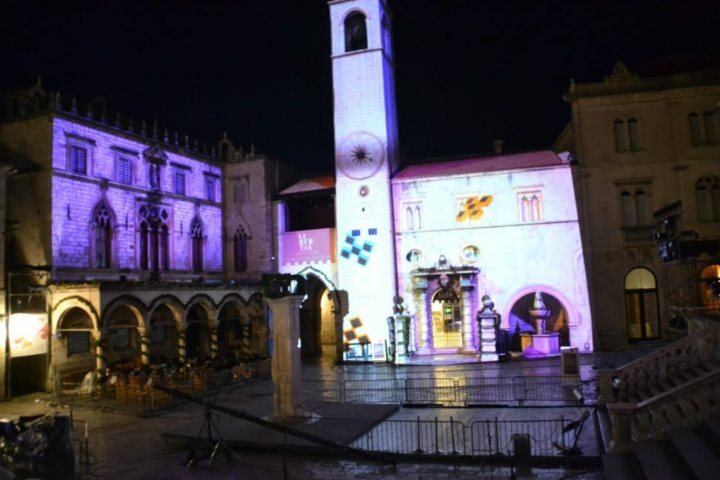 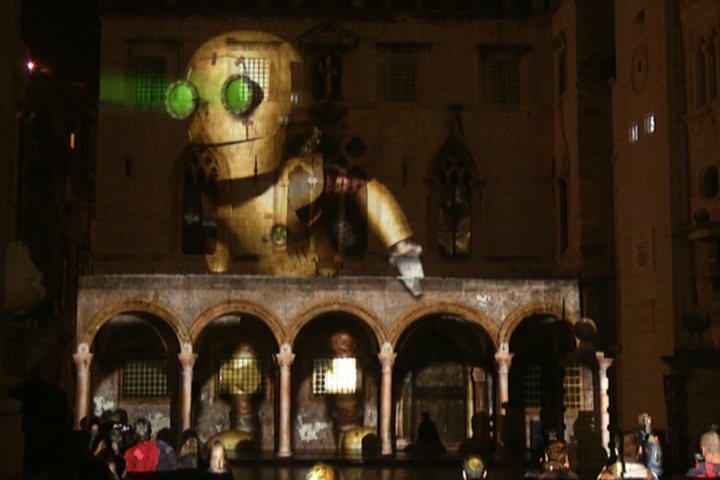 Celebratiory event for Croatia's addmitance in EU was is biggest and most demanding multimedia event done in Croatia to date.Total projection area covered three buildings totaling surface area of 3000 m2 and lasting over sixty minutes. 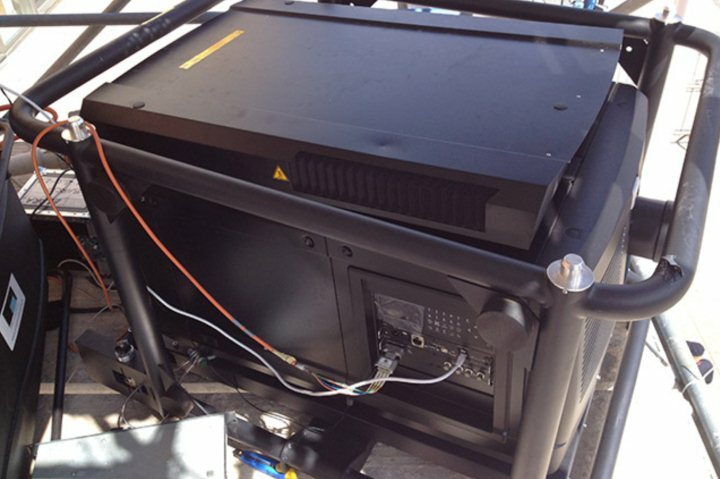 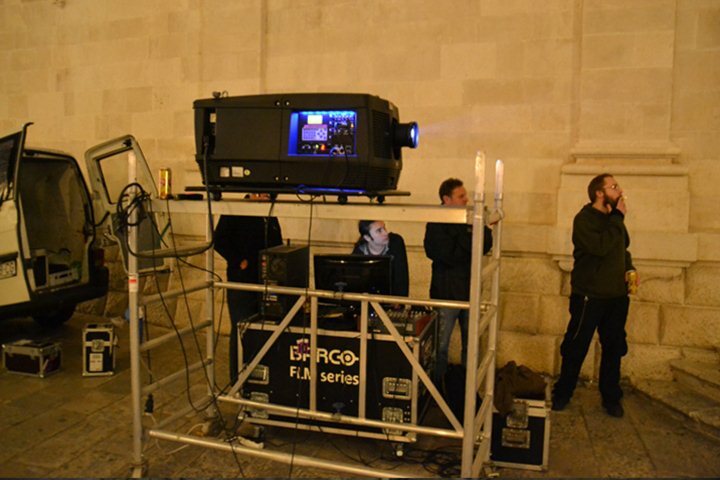 Seven Barco FLM40 projectors were used, 40 000 ansilumen each. 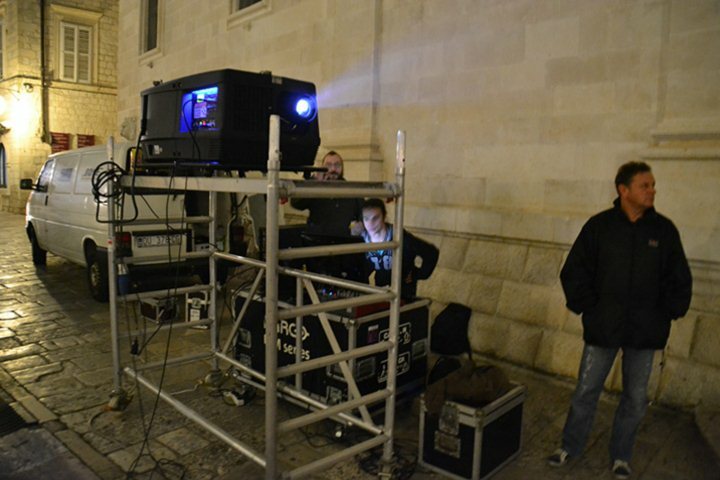 Projectors were controlled by a proprietary software and media server which were also used for image blending and perspective correction. 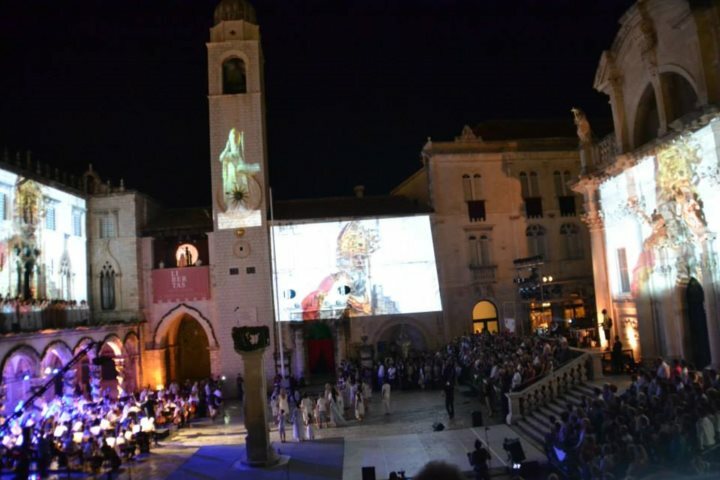 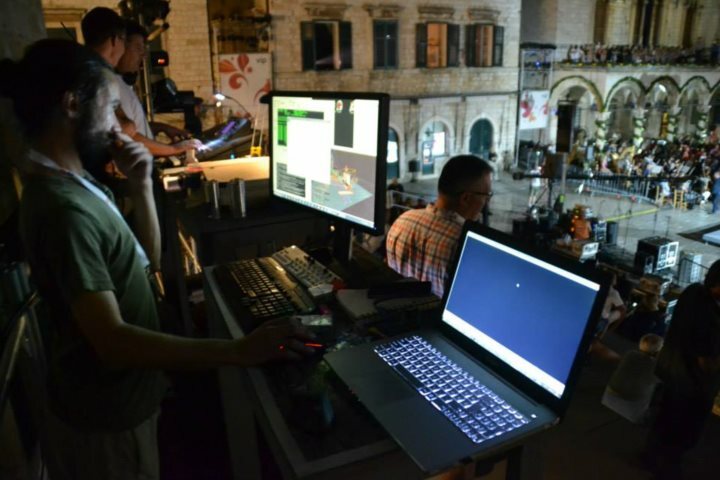 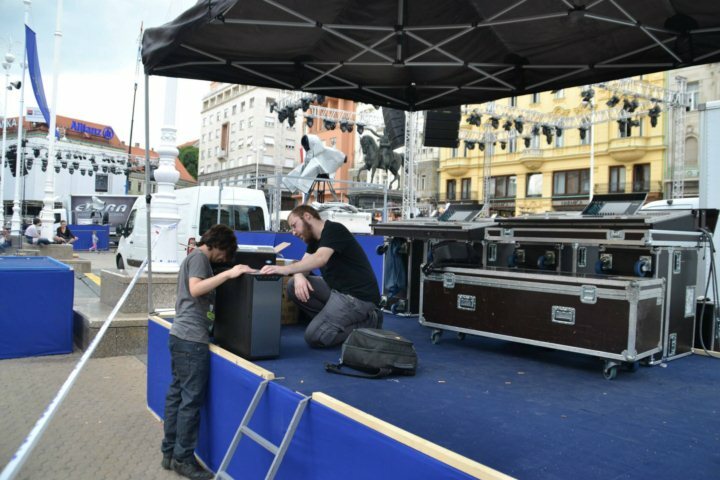 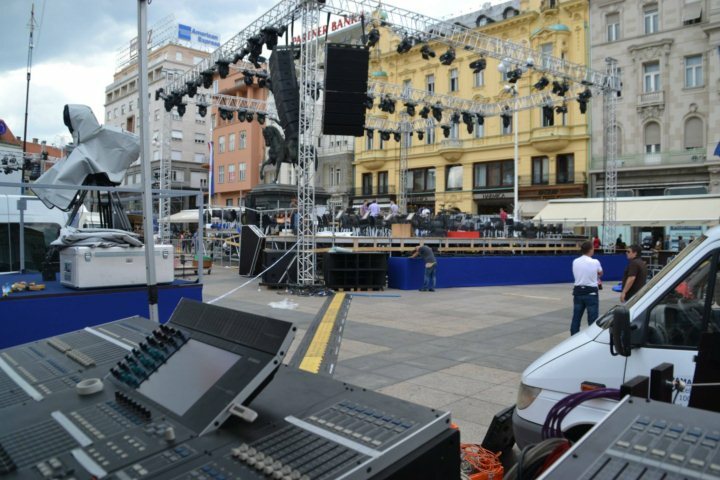 For the first time in Croatia real time 3D mapping was used to provide a multimedia support for 2 Chellos concert. 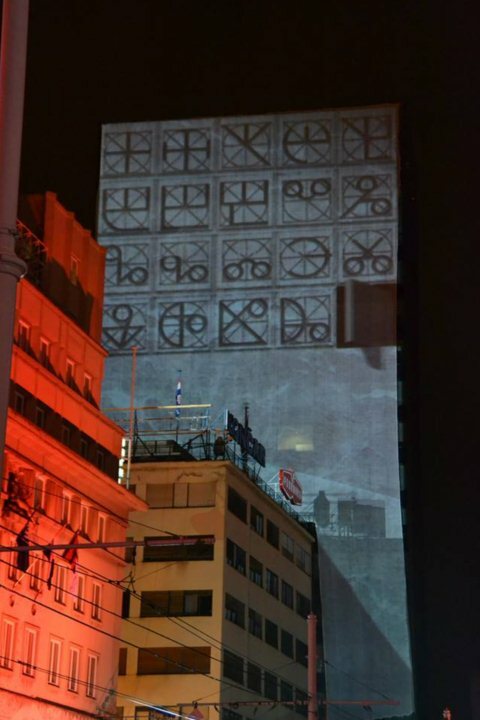 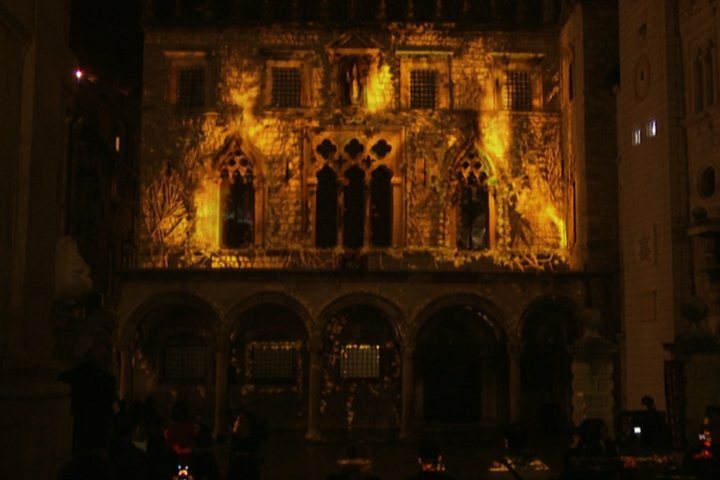 Ceremony also contained a live feed form government's social networks that was projected on the surrounding buildings. 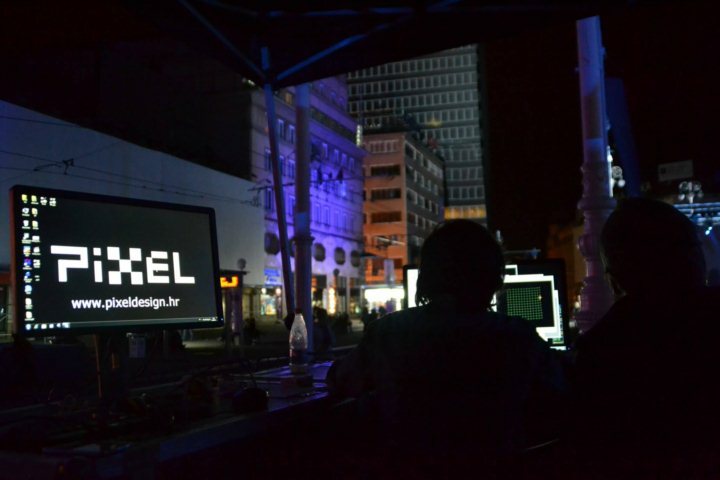 Entire production, from video arrangement to 3D content was done by Pixel design.